HotWax Media is the leading provider of enterprise e-commerce websites running on Apache OFBiz. We build enterprise e-commerce systems for a variety of different types and sizes of businesses, from online costume retailers to mesh materials and cutting service providers. Our enterprise e-commerce systems offer all the bells and whistles: completely custom front end designs, great merchandising features (cross-sell and up-sell, feature-driven navigation, robust pricing and promotion creation, multi-channel sales, etc. ), custom shopping cart and checkout, shipping integrations with FedEx, UPS, and USPS, inventory management (receiving, stock management), order management and customer service, and much more. When it comes to robust e-commerce features, the Apache OFBiz framework combined with our unparalleled enterprise ecommerce expertise at configuring, customizing and extending OFBiz features means that our clients can have just about any e-commerce feature that they can dream up. But a successful e-commerce enterprise requires much more than a whiz-bang system. Perhaps more important than the site design and features is the marketing strategy that drives your online sales efforts. Let’s assume that you have a product line that makes sense — you manufacture or purchase your high-quality products at wholesale with plenty of margin to run a profitable business given reasonable sales volume. You have a great enterprise e-commerce site with all the great design and site features you wanted. Now what? 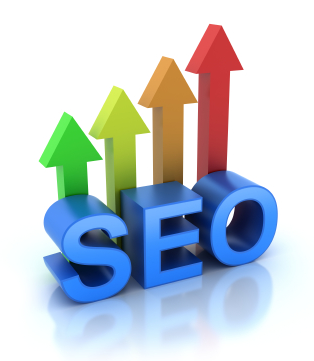 SEO (search engine optimization) is the crucial ingredient in making your online sales efforts bear fruit. Simply put, the best product in the world will not sell online if your customers cannot find you. Online marketing is a dynamic field full of smart, ambitious professionals. Some are wildly successful on your behalf, while others will take your money for nothing. Some are hard working and forthright, and others are shysters. Ask any online business leader and they will agree: there are many aspects for a business to consider as it markets itself online and some are much more straight forward than others. Good page content? Check. Good file names, alt tags, page titles, meta tags? Check. Site map and robots.txt file? Check. Now how to measure performance while still having time to run your business? For SMB owners, dollars generally represent the most meaningful method for measuring progress, of course, but there are other useful indicators that can help along the way. A great place to start is Google’s PageRank. For SMB owners, the bottom line is that a well known page (quantified by random visits and pointers from other well known web pages) will have a higher page rank. This page, in turn, will return more prominently in search engine results than lesser known pages with similar content. Step 1, then, is to create pages with higher PageRanks than those of your competition! How does one go about measuring and boosting PageRank? Measuring PageRank is relatively easy. There are toolbars and websites readily available that will tell you the PageRank for any given URL. For example, PR Checker gives you a web page for checking PageRank, and Google Toolbar runs right along with your browser. Boosting PageRank takes more work, and happens by getting other pages with high PageRanks to link to your page. (For example, you can submit your site to directories like Yahoo!, and list your products on sites like Amazon.) There are many tactics and techniques to be explored, but we will not cover them in detail here. As with the rest of your online marketing strategy, boosting PageRank takes time and consistent effort. It requires good planning up front, and ongoing work to maintain and improve. But if you master the basics and keep working at it, you will see results. HotWax Media offers online marketing packages for enterprise e-commerce businesses. Contact HotWax Media today to learn more!